Tieback anchors are designed to stabilize and strengthen bowed and leaning basement walls. These helical anchors are a permanent solution to supporting basement walls that are cracked, bowed or leaning. These helical anchors are generally installed from inside the basement through a small hole that is sealed and repaired after installation. 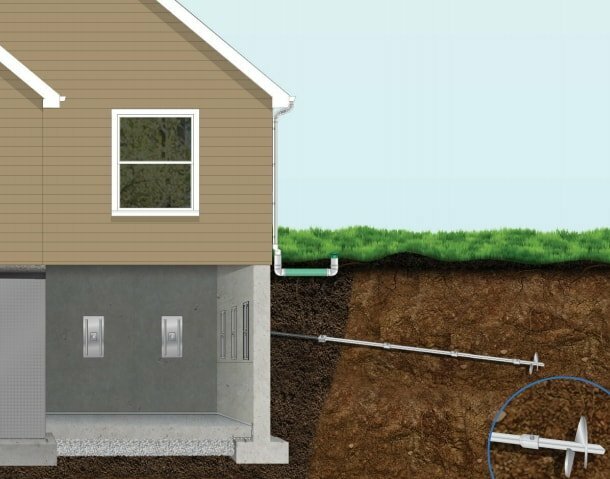 With exterior excavation, basement or crawl space walls can be immediately pulled back to original design levels. We can help you decide if helical tieback anchors are the right solution for your Northern Virginia home. Bowed or leaning walls can cause large amounts of damage to your home and some leaning walls may even collapse. Walls begin to bow or lean when the soil outside your home puts too much pressure on your walls. 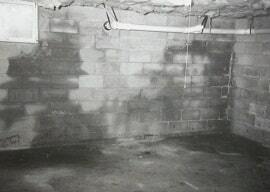 This can happen when excess water soaks into the soil and stays there, making it heavier than usual and allowing it to push against the walls of your home. If a wall is being pushed on by a great amount of pressure, it can cause them to lean, bow, or crack horizontally. The cracks that often accompany bowed or leaning walls can allow water into your home, creating an ideal environment for mold growth and the infestation of pests. These wall problems are also often accompanied by problems like floor cracks, sticking doors or uneven floors, both of which can be annoying and harmful. Tieback anchors are installed by experienced contractors. A long anchor is pushed into the soil to help stabilize it and evenly distribute pressure, while a plate is anchored to the inside of your wall. Tieback anchors increase the stability of walls and can even lift and correct the bowed or leaning wall. Reliable Waterproofing & Masonry uses only the best Earth Contact Products (ECP) tieback anchors to keep your home stable and safe.